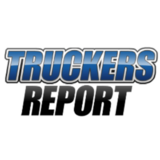 TruckersReport is a network of professional truck drivers connected by our trucking industry forum, the largest online trucking community. TruckersReport hasn’t been active on Medium yet. Check back later to see their stories, claps, and highlights.